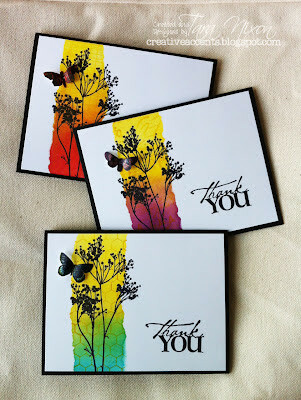 I'm back with the other 2 Get Well cards from our Occasions Card Class the other night! As I mentioned earlier, all the cards feature "Good Day, Sunshine" papers by We R Memory Keepers. 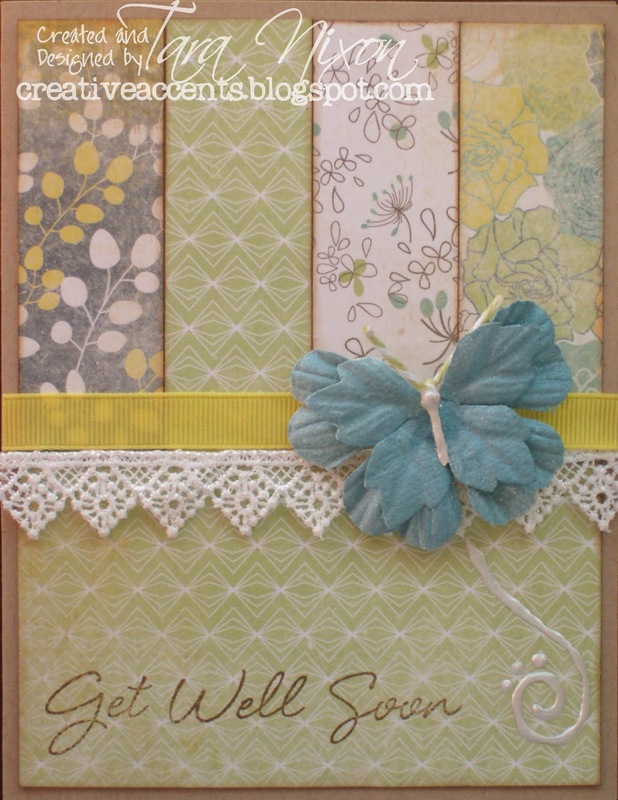 The image & sentiment on this card are from Whipper Snapper Designs- it cracked me up when I saw it, and I knew it would make a great card to brighten someone's day when they're feeling crummy! I used last week's sketch from Mojo Monday for this one, and kept it pretty simple beyond that! This final card was a great one for using up the scraps leftover from the rest of our cards! We created the pretty butterfly from (formerly) white Prima flowers- trimmed and sprayed for some shimmer! The body and antennae were made with bakers twine and perfect pearls. The sentiment is from a great all occasion set by Hero Arts. hee hee that Whipper Snapper is hilarious!! Love the cards!